In the beginning ... there was Cheerwine! The Cheerwine Company was celebrating "100 Years of Cheer" and wanted to share the cheer with their hometown of Salisbury, NC. So they decided to have a festival, with true Southern hospitality. Working with the City of Salisbury and local organizations, they organized a celebration of all things good and cheerful, southern and delightful. The event was a wild success, with tens of thousands of locals and visitors from across the Carolinas converging on this small, historic city to eat good food, shop cheerwine merchandise and have fun in the downtown area. 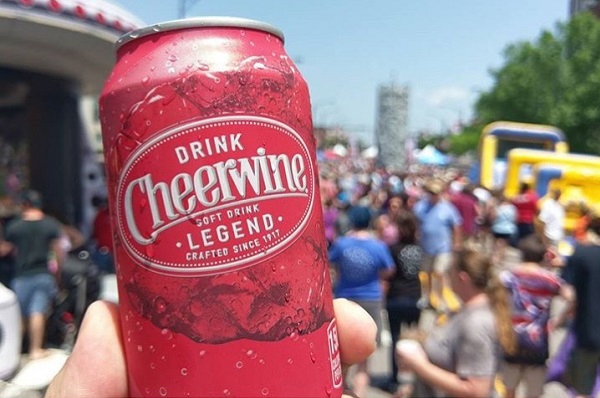 Locals and fans of Cheerwine alike loved the Cheerwine Festival in 2017 so much they demanded a return! 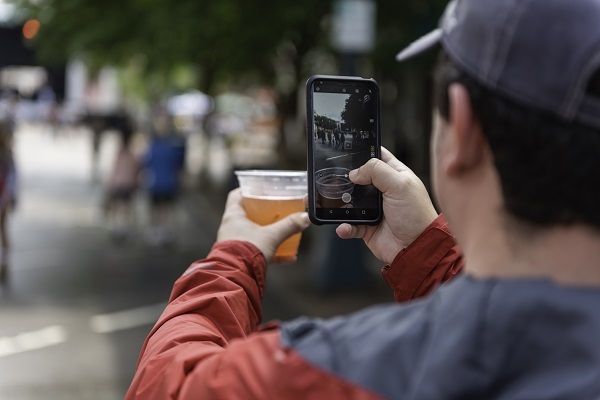 In response, the City of Salisbury decided to continue to host the festival as an annual tradition, working with Cheerwine to ensure the cheer would continue. 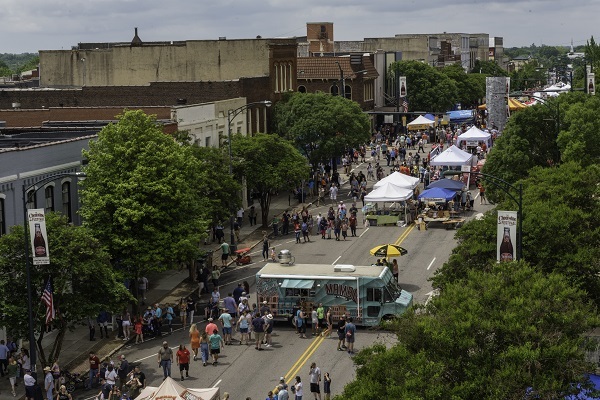 In 2018, the festival area was doubled in size to include almost all of downtown Salisbury so that more food trucks and vendors could participate, the kid's activities evolved into a kid's play area including rock climbing and a bounce house, and a beer garden was added for the adults. The musical lineup was upgraded as well, with headlining band Sister Hazel performing at the end of the day to a cheering crowd! The County of Rowan was established in 1753 and the deed for Salisbury is dated February 11, 1755. At that time, the area contained a bustling little village of seven or eight log cabins, a courthouse, jail and pillory. Two years before the national Declaration of Independence, a group of patriotic citizens of Rowan County, serving as a Committee of Safety adopted the Rowan Resolves on August 8, 1774 containing the pioneer element toward liberty and independence from Britain. These resolves reached the highest note of any passed in the colony in calling for the abolishment of the African slave trade and urging the colonies to "unite in an indissoluble union and association". Notably, Daniel Boone began his exploration of the Blue Ridge Mountains from here in Salisbury. Near the present-day Salisbury library is the small office where Andrew Jackson studied law and was admitted to the bar before he moved westward. Salisbury was one of the first cities in North Carolina to adopt electricity at the turn of the century. The city continued this history of innovation by installing a 100% fiber-optic telecommunications network across the entire city, after the big cable companies turned down requests to provide high-speed Internet to residents. Now, all Salisbury residents can enjoy high-speed internet, television and digital telephone services. A referendum in 2018 approved a Public/Private partnership with HotWire Communications for the lease of the telecommunications network. Cheerwine is a one-of-a-kind soft drink with a unique cherry taste that has been delighting southerners for more than a century. Cheerwine was first created in 1917 in Salisbury, NC by a general store owner named LD Peeler. Prior to Cheerwine, Peeler distributed a soft drink called Mint Cola, however during a World War I sugar shortage the Mint Cola Company went out of business. By experimenting with other flavors, Peeler developed Cheerwine. Today the company is prospering as it celebrates over 100 years in business. Cheerwine remains a family-owned business still operated by descendants of the company’s founder.